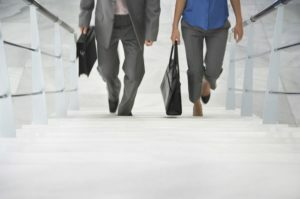 Does the typical weight reduction plan feel out of your reach because of your work schedule? If so, you’re not alone. Even if you work a regular 9 to 5 schedule and aren’t among those who are essentially working all the time, it can still be difficult to slip fitness into your week, let alone healthy diet-friendly meals. That said, this doesn’t mean that a healthy, effective weight reduction plan is impossible for you. There are many ways that you can give your body everything it needs to get your weight under control and keep it that way. This is true even if you find yourself working around the clock more often than not. The more hours you’ve filled up with work and other responsibilities, the more advanced planning you’ll need to do. A weight reduction plan isn’t impossible, but you’ll need to stay on top of it. It’s true that it won’t be as easy for you as it would be for someone with all the time in the world but it can still be quite straightforward. Your first step is to get organized. Remember that workout time doesn’t just happen and healthy nutritious meals don’t just magically appear in front of you. Use your weekends (or any other bit of time off you can find on a regular basis) to come up with a meal plan for the week and a shopping list that will ensure you get everything you need at the supermarket. The organization step for your weight reduction plan may seem like a nuisance at first, but once it becomes a regular habit, you’ll come to love it. It means you’ll always know what you’re going to eat and you’ll always have what you need to make it. Furthermore, it saves you a small fortune because you’ll be less likely to purchase items that you won’t use before their expiry date. If you think you don’t have time to include exercise in your weight reduction plan, set your alarm clock fifteen minutes early and exercise the moment you get up. Don’t bother with trying to look (or even smell) nice. Just get up, throw on your gear and get started. This may mean your treadmill at home, or you can add a hat and go for a fifteen minute jog or run. Get home, hop in the shower and start your day as usual. This will not only get half your daily workout done right at the start of the day, but it will also wake you up. You’ll feel more alert, think more clearly and be more efficient. You’ll also be in a better mood at the start of the day. To get the rest of your workout in during the remainder of the day, focus on tiny steps. Do five minutes at a time. A five minute run outside or up and down the stairs at work during your lunch hour is a great start. Another ten minutes once you get home can polish things off right away, or you can split it into two more five minute sessions, one before you start making dinner and a five minute yoga session before bed. Unless you’ve been going through a digital detox for the last decade, then you’ve likely seen dozens upon dozens of diet challenge posts online and especially on your social media. Everyone from celebrities to your friends and family are trying these temporary strategies meant to get fast results, jumpstart a healthier lifestyle or otherwise benefit your health or weight loss. That said, as much as a diet challenge often seems like a great idea, they’re not without their downsides. In fact, many of them can actually be harmful as opposed to being helpful. What Should You Do Before Choosing a Diet Challenge? Just because some types of diet challenge can be risky, it doesn’t mean they should all be avoided. The key is to be very cautious and talk to a health care provider before doing anything that involves a significant change from your current lifestyle. For instance, if you plan to significantly cut carbs, cut out all sugar, substantially reduce fat intake, go meatless, or even amp up your workouts while you change what you eat, these can all create notable changes in your body. For some people, these changes may be safe. Make sure you’re in that group of people before you make the changes. Unless you’re a nutrition expert, you may not even realize how much impact certain simple and healthy-sounding changes can have. The very nature of a diet challenge is to do something over the short term. Unfortunately, most research shows that anything that doesn’t have the long-term in mind comes with risks of harm. This doesn’t necessarily mean that it will place your life in danger, but the harm can still be very frustrating. For instance, if you take on a diet challenge that greatly reduces your caloric intake or that changes your usual macronutrient balance, you may see impressive results while you’re doing it. However, after the 10 days or 30 days of your challenge, returning to a regular healthy lifestyle can cause your weight to balloon back on again. Sending your body these types of mixed messages can work against your ability to lose weight or maintain your weight loss. When you shift the way your body burns fat, how much energy you provide it through food, or the nature of the food you’re eating, your metabolism changes in order to respond to it. Over the short term, that can mean great news. However, afterward you may end up seeing not only the weight you lost, but some additional pounds as well. Be extremely selective about the diet challenge you take on and inform yourself before you begin. 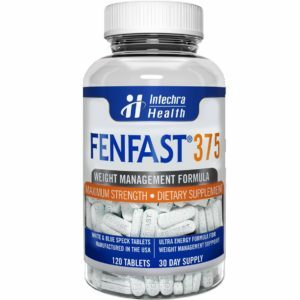 How Does FENFAST 375 Help You Stick to Your Diet? Being able to stick to your diet is nearly as important as the weight loss strategy you choose in the first place. 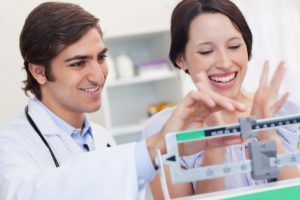 In fact, many doctors are now recommending that dieters consider their predicted capacity to keep up with the components of a diet as a main factor for choosing it in the first place. After all, if you can’t stick to your diet, it won’t provide you with much benefit, no matter what the studies show about its potential. 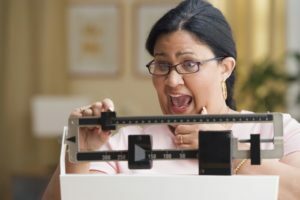 If you slip back into the habits that caused you to gain the weight in the first place, it’s very unlikely that the pounds will come off on the bathroom scale. 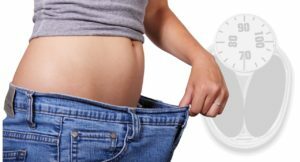 The advent of weight loss pills has made it a breeze for dieting aficionados all around the world to stay in top-notch shape. Regrettably, with a wide array of diet pills dominating the weight loss industry, choosing the right supplement can be quite a daunting task, especially when your health is on the line. 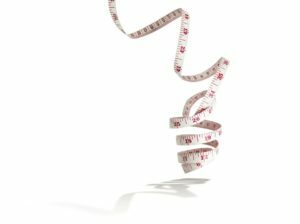 Have you noticed how many diets have been making headlines promising healthy weight control over the past few years? As each month goes by, there is another option added to the top of the pile, promising that it will give the best results. They promise long term, fast and easy management of those excess pounds. However, very few of them actually provide the healthy weight control they promise. Alternately, many of them offer great results over the short-term but without any possibility to maintain them over the long-term. To help you keep up with the latest, we’ve compiled this list of the best and the worst according to recent research (or lack thereof). 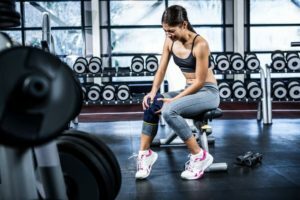 It seems as though it should be simple to do a workout without getting hurt and with these easy exercise tips, it can be. That said, if you haven’t been active in a while, or if you’re thinking that your body will react the same way to exercise as it did back when you were ten years old and ran or biked everywhere, you are setting up for an unpleasant surprise. Use these easy exercise tips to gain the spectrum of physical, mental, emotional and even social health benefits from regular activity. At the same time, keep yourself injury-free to avoid pain or the need to stop working out while you heal up!